Jenever (the inspiration for modern day gin) was originally sold as a medicinal drink, due to the perceived health properties of the juniper berry. It was believed to improve circulation and other ailments and was given to Dutch soldiers in the 17th century. This was observed by English soldiers and is said to be where the term ‘Dutch Courage’ originated. The British military also had a history of ‘medicinal’ alcohol use. While navy rum (grog) gets the most attention they also gave sailors gin mixed with lime cordial to stop scurvy, and angostura to settle the stomach at sea. 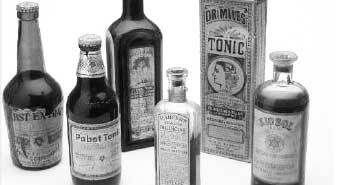 More well known perhaps is that tonic water with quinine was anti-malarial. This naturally gave the colonial military all the excuse they needed to drink more gin and tonics! Mother’s ruin has its origins in 18th century London. Thanks to the government imposing a heavy duty on imported spirits, while at the same time allowing unlicensed gin production, consumption rose significantly. This period became known as the Gin Craze. Gin was so cheap and easy to produce that it was available to all levels of society. 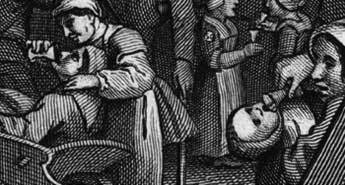 Over half of London’s 15,000 drinking establishments were gin shops. Over time this excessive consumption led to various societal problems. The government determined at this time an average Londoner consumed around 52 litres of gin each year (over 1 bottle per week)! Gin left men impotent and women sterile and was responsible for the death rate at this time exceeding the birth rate. Famously in 1751 a print by William Hogarth depicted the situation titled ‘Gin Lane’. 18th century London wasn’t the only time associated with less than sanitary gin production. Bathtub gin became popular in the 1920s prohibition-era. 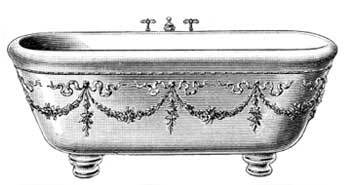 Gin was often produced in bathtubs due to the ease of production and concealment. Needless to say this gin wasn’t known for being of great quality. Many of the cocktails we associate with gin today were developed as a means of masking this lack of quality. Tom Collins, Martini and Bee’s Knees cocktails all owe their popularity to the prohibution-era.